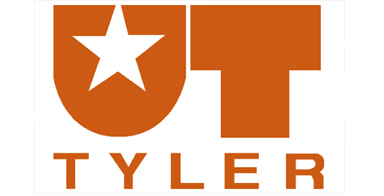 The University of Texas at Tyler has announce the formation of its first ever marching band to begin this fall! This is another great moment for the marching arts as this will provide more students the opportunity to continue marching in college. Dr. Michael Thrasher, School of Performing Arts director, is leading the charge and is beginning the recruitment process for the new band. One perk about joining this band is that scholarships between $600-$800 per student will be available. In the university's official release Thrasher explained why bringing a band to UT Tyler was so important. "We believe that the UT Tyler marching band will help advance the university in several important ways," Thrasher said. "First, marching bands are a common component of high school music programs throughout our area, and many of our graduates are preparing for careers as high school music educators. Second, the marching band will enhance the college experience for all of our students and will increase our visibility throughout the region. "We have been discussing the possibility of adding a marching band for several years. Most recently our university president and provost, Dr. [Rodney] Mabry and Dr. [Amir] Mirmiran, have become enthusiastic supporters and sponsors of this idea," he added. Don't expect any flashy pictures by the band at halftime like at Ohio State. They will march corps style and master one show each year. The university expects the band to participate at all football games, march in parades and support other sports teams across the university. To tryout, contact Thrasher at 903.566.7388 or mthrasher@uttyler.edu.